The Henderson County Family Resource and Youth Services Centers (FRYSC), created as a part of the Kentucky Education Reform Act, enhances students’ abilities to succeed in school. The FRYSC provides services to students and families as well as linking students to school and community organizations that will assist the student. Henderson County Family Resource Youth Services Center’s mission is to enhance students’ abilities to succeed in school by developing and sustaining academic success. Who can use the Family Resource Youth Services Centers? The Family Resource Youth Services Center is open to all Henderson County students and their families. Who operates the Family Resource Youth Services Centers? An advisory council made up of school employees, parents, students (YSC only), and community representatives oversee and approve the center operation and expenditures of the Henderson County Family Resource Youth Services Centers. Where are the Henderson County Family Resource and Youth Services Centers’? 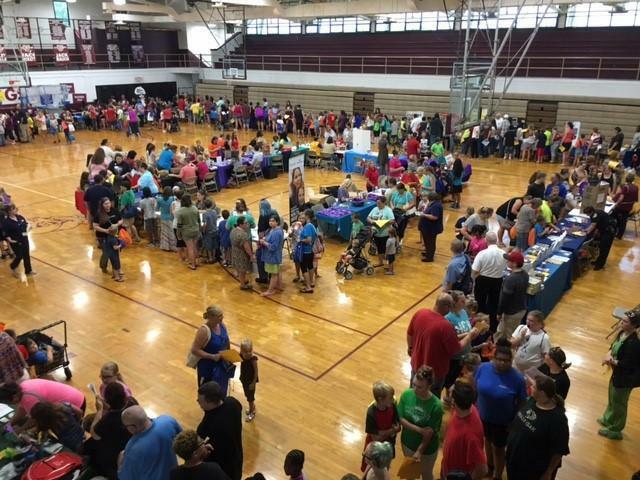 Each elementary school, middle, and high school in Henderson County has a center in each building. The Family Resource Youth Services Center office hours vary by center and are open Monday through Friday year round. All centers have additional hours by appointment only. How can parents and the community get involved? Parent/Guardian and Community involvement is an essential part of student success. There are many activities that would be perfect for volunteer groups or organizations, including the Backpack program. Contact your Center for more information. Each day many students rely on healthy breakfast and lunch meals served at school to provide the daily nutrition needed to learn. For many, these meals may be the most nutritious they have throughout the week. What happens when they go home over the weekend? The School Backpack program provides students with nutritious foods which are easy for students to open and prepare. These backpacks go home with students on Friday and are returned Monday. Numerous community organizations and volunteers support this program through donations of food, money and time.